A few months ago I was asked to review a new online personality assessment system parents could use when screening potential nanny candidates. The experience taught me more about myself as a blogger than anything else. 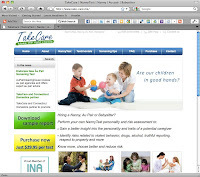 TakeCare offers an online psychological assessment tailored for caregivers such as nannies, au pairs and babysitters. Its a series of True/False questions that determines your perception of right/wrong, theft, lying and more. I'd been asked to complete similar assessments when I was interviewing for jobs. I thought they really helped my future bosses understand me, so I agreed. These assessments could be valuable for anyone hiring for an in-home, child-related role: tutors, music teachers etc. Anyway, I settled in front of the laptop, logged into the test and quickly realized...this won't work for me, or anyone like me who's hiring an ESL nanny. Gulp. Should every theft be punished? 1) Yes, definitely. There is no justification for stealing. 2) A thief should not be punished if the theft is due to economic and/or health problems. 3) A thief should not be punished when he isn't stealing for himself but to give to the poor. 4) Theft can be passed over when the value of the theft is very small. Answering these types of questions gave me anxiety and I have an English Rhetoric degree! I had to read them over a few times, while the scroll bar timer changed from Green, to Yellow, to OUT OF TIME!! RED!!! I don't think you would get an accurate reading of someone's moral or psychological fibre using this test for an ESL hire. So.... What do you do when you you've been asked, for the very first time, to review something as a blogger in a certain niche and you aren't sure you can endorse it?! 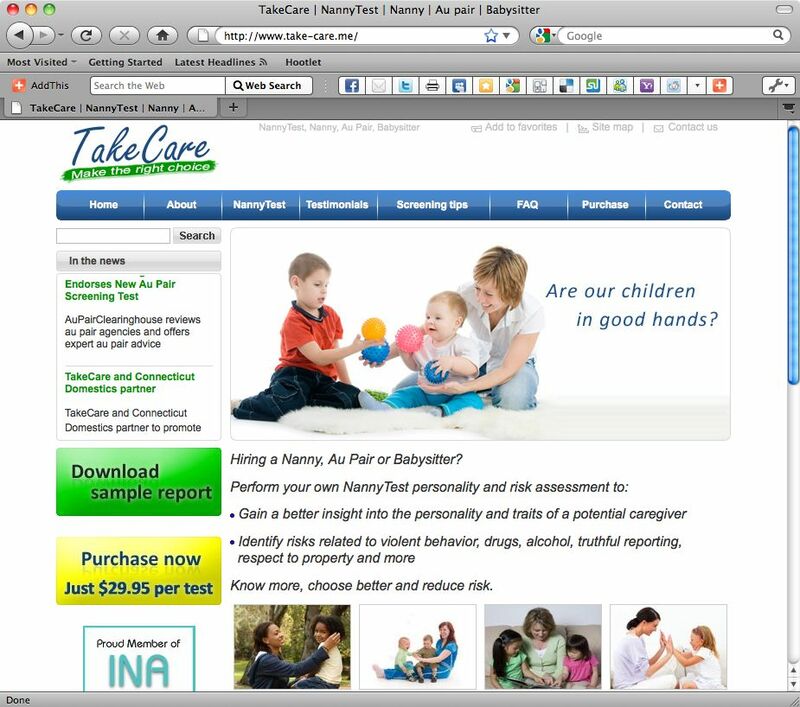 I hemmed and hawed for a few days and then gave in and emailed the owner, letting him know that while I thought it was the good idea, NannyTest wasn't going to get a ringing endorsement from iwantmynanny.com because it wouldn't work for ESL hires. Guess what? He was great about it. He respected my opinion and thought it made sense. It made me step back and remember, "Hey, yeah, that's right. I'm not just talking out of my *ss. I do have, based on all my experience with my nanny, something to contribute." And that started it. I must be walking around with an "I'm an expert" glow because I was just asked to review another kids product. Stay tuned for my iPhone kids app review!